Philadelphia, much like other large cities, has had a history of wrought relations between black communities and law enforcement. 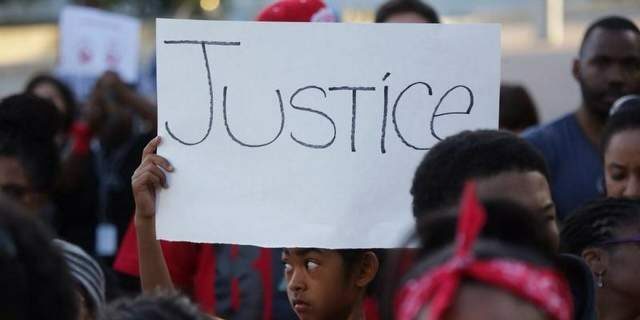 The pervasive and systemic nature of the police department’s abusive practices prompted the U.S. Department of Justice in 1979 to file its first lawsuit against a city for police brutality. A 2015 Department of Justice examination of policing in the city noted inconsistent training of officers on the Philadelphia Police Department’s use of force policies, a lack of transparency related to shooting incidents, and an “undercurrent of significant strife” between the community and those sworn to serve and protect Philadelphians. Despite these challenges, glimmers of hope are emerging in Philadelphia. 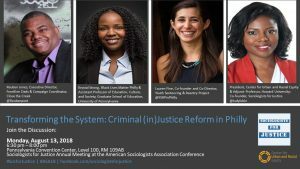 During the annual meeting of Sociologists for Justice, Philadelphia criminal justice reform activists and organizational leaders will discuss the historical and current context of policing and law enforcement in the city and discuss strategies from bail reform to decriminalizing possession of marijuana to electing a progressive district attorney, that are challenging the status quo in the city. Panelists will highlight recent efforts to address police violence and mass incarceration and explore how activists, elected officials, and scholars, working in partnership with community members, can promote and elevate these efforts through advocacy and other strategies that can lead to sustainable change for black and brown communities.